A Parliamentary report of 1777 recorded parish workhouses in operation at Aldeburgh (with accommodation for up to 15 inmates), Farnham (6), Framlingham (100), Orford (20), Saxmundham (60), Snape (20), and Sudbourn (30). Saxmundham's workhouse was located at the west of the town, at the north side of what is now Rendham Road. The building survived into the mid-twentieth century but modern housing now occupies the site. Its location is shown on the 1884 map below. Saxmundham parish workhouse site, 1884. 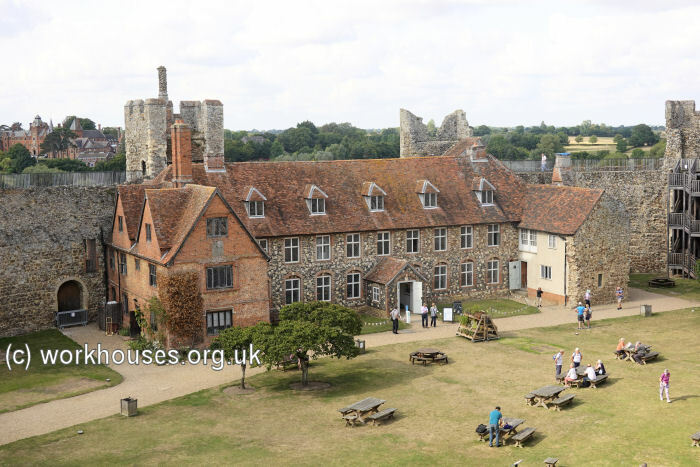 A workhouse was built in the courtyard of Framlingham Castle in 1664. The workhouse was rebuilt in 1729 and now houses the castle's visitor centre. Snape had a workhouse at the western end of Wadd Lane near Gromford. 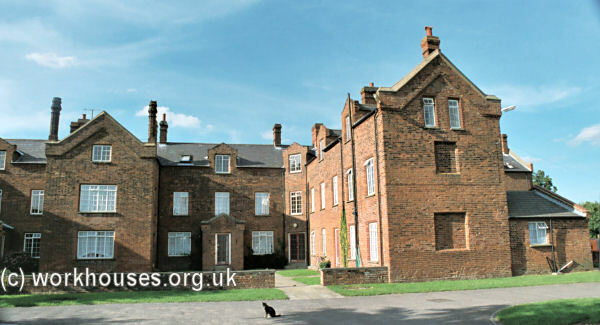 Snape former parish workhouse, 2006. County of Suffolk: Aldeburgh, Benhall, Blaxhall, Brandeston, Bruisyard, Butley, Campsea Ash, Chillesford, Cransford, Cretingham, Earlsoham, Easton, Eyke, Farnham, Framlinghgam (2), Freston, Great Glemham, Little Glemham, Hacheston, Haslewood, Hoo, Iken, Kenton, Kittleburgh, Letheringham, Marlesford, Monewden, Orford, Parham, Rendham, Rendlesham, Saxmundham, Snape, Sternfield, Stratford St Andrew, Sudborne [Sudbourne], Swefling, Tunstall, Wantisden, Wickham Market. The population falling within the union at the 1831 census had been 20,703 with parishes ranging in size from Haslewood (population 90) to Framlingham (2,445). The average annual poor-rate expenditure for the period 1833-35 had been £19,947 or 19s.3d. per head of the population. 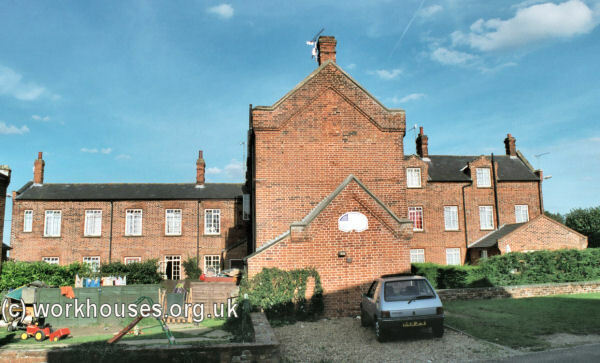 Plomesgate Union workhouse was built in 1836-7 at Wickham Market. Its construction cost about £7,000 and it could accommodate 400 inmates. The building, constructed of red brick in an Elizabethan style, was designed by John Brown who was also the architect of the Mutford and Lothingland union workhouse at Oulton. His design for the Plomesgate Union used the relatively uncommon double-cruciform layout. The workhouse location and layout are shown on the 1902 map below. Plomesgate from the west, 2001. Plomesgate from the south, 2001. A detached infirmary stood at the south-east of the site. It was extended at its eastern end in 1906. Plomesgate infirmary block from the south-west, 2001. 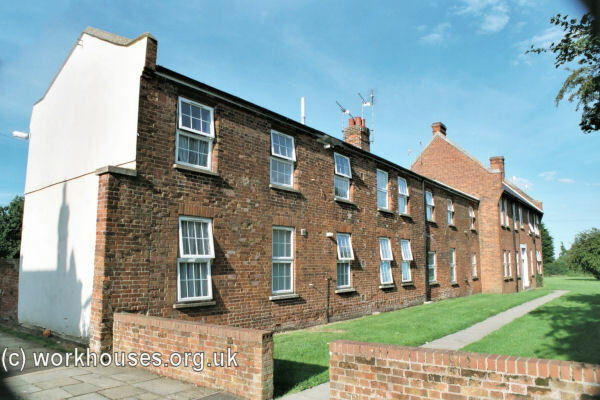 The workhouse Master's house stood at the north-west of the site. Plomesgate Master's house from the west, 2001. 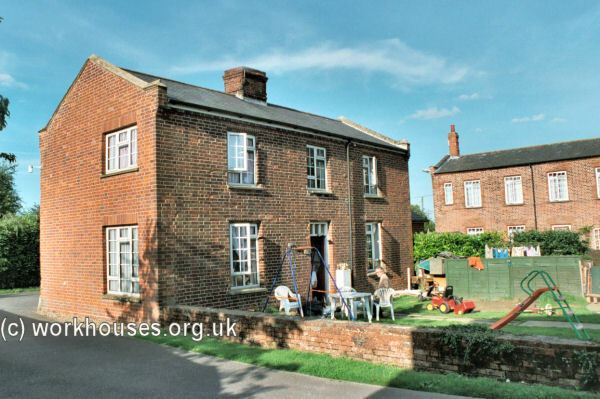 The workhouse is believed to have been used for Land Army accommodation during the Second World War. 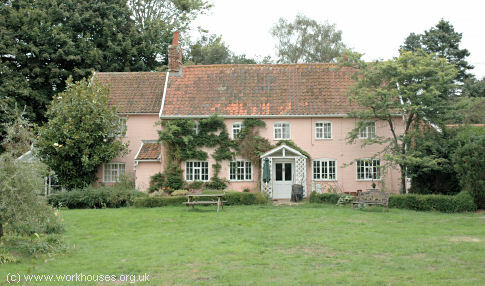 In 1948 the property was acquired by the local council and converted to housing. Suffolk Record Office, Gatacre Road, Ipswich IP1 2LQ. Holdings include: Guardians' minute books (1837-1930); Births and deaths (1914-36); Creed register (1926-36); Inmates' property register (1920-35); etc.